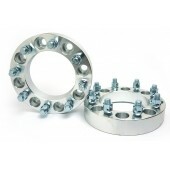 CustoMadeOnly wheel spacers/ adapters designed to space the wheels outward from the hub effective..
Our 8 Lug Wheel Spacers are available in 8X165.1 & 8X170 bolt patterns. 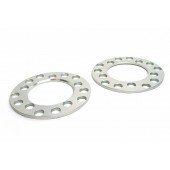 These heavy duty spacers are made with 6061-T6 aluminum and class 10.9 carbon studs. 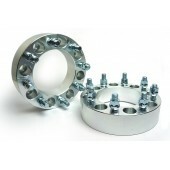 The width size is available in 1", 1.5", 2" and 3" (per side) for you to choose from. 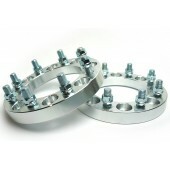 The 8-lug bolt pattern adapters are also available if you need to convert your factory bolt pattern to fit the wheels with a different patterns.